VaporDNA just revealed their newest weekend promotion. 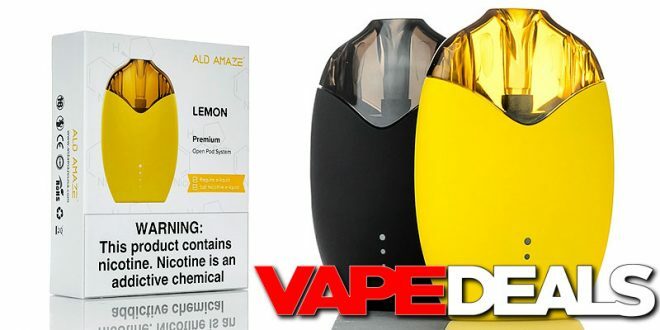 Act fast and you could pick up an Ald Amaze Lemon Refillable Pod System for only $4.99. That’s $30 off the regular price ($34.99)! To qualify for this offer, you just need to spend at least $25 in other products and apply coupon code “LEMON” at checkout. They have 2 colorways available: yellow and black. Limit one per transaction, while supplies last.